Protein phosphorylation is a posttranslational modification of proteins in which a serine, a threonine or a tyrosine residue is phospohorylated by a protein kinase by the addition of a covalently bound phosphate group.Protein kinases share a conserved catalytic domain, which catalyses the transfer of the gamma-phosphate of ATP to a serine, threonine or tyrosine residue in protein substrates. 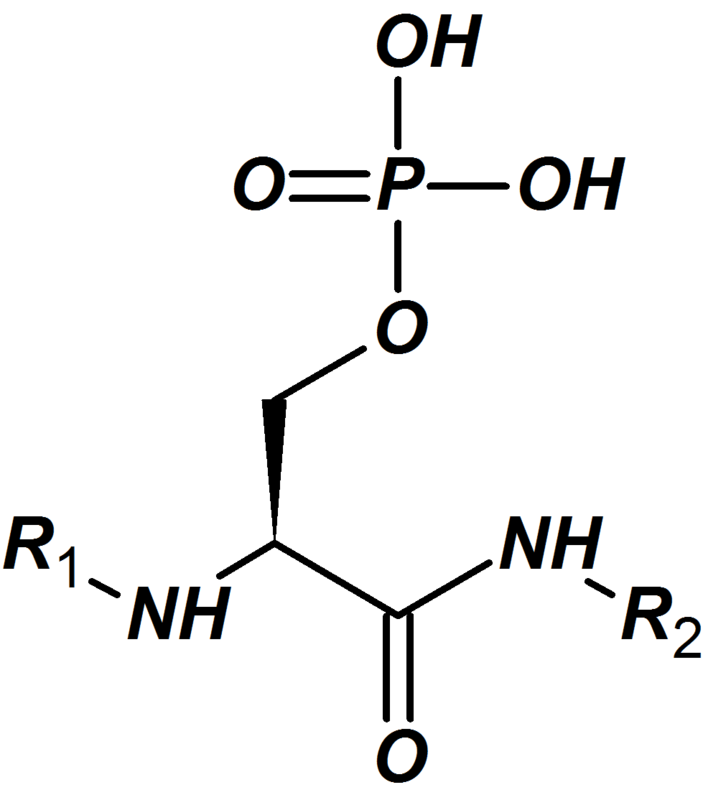 Phosphorylation occurs mainly on the hydroxyl side chain of serine and threonine residues and, to a lesser extent, on the phenolic side chain of tyrosine residues. Regulation of proteins by phosphorylation is one of the most common modes of regulation of protein function. Protein phosphorylation plays essential roles in nearly every aspect of cell life. 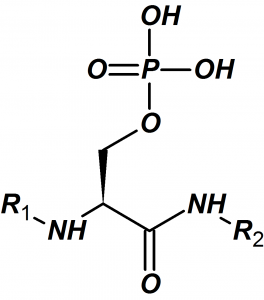 In order to study phosphorylation events, site-specific synthesis of phosphopeptides is crucial. 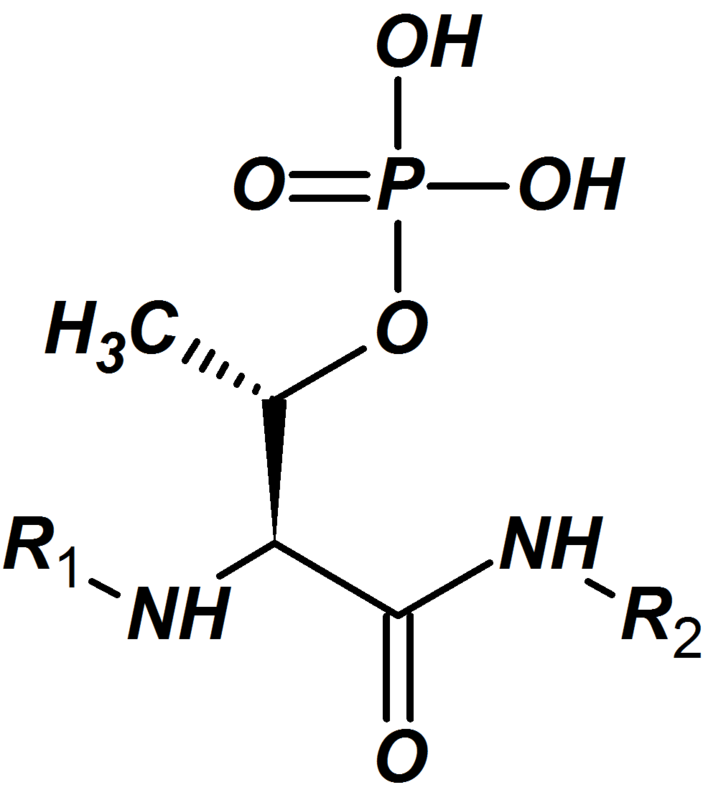 Phosphorylated peptides are generally produced by the specific incorporation of protected phospho-amino acids into the sequence. 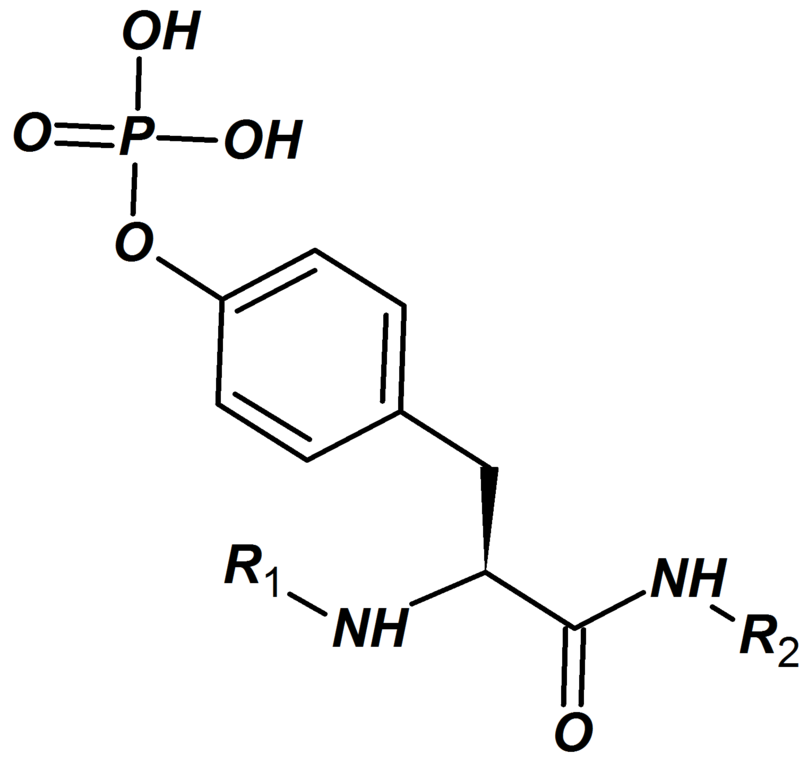 Alternative approaches, such as “post-assembly” phosphorylation of Ser/Thr/Tyr-containing peptide resins can also be applied. 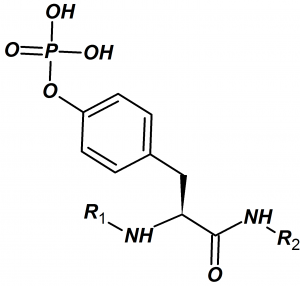 Over the years, Pepscan has successfully made thousands of phosphopeptides.